Great to prepare, grab and go! If you like a savory “muffins”, you’ll love these Summer Vegetable Quinoa Bites! They’re a cross between a muffin and an egg muffin and my son loved them. While we ate them with breakfast, these savory bites would go well with any meal or snack! Great prep ahead and grab & go too! The recipe is adapted from Super Food Magazine. 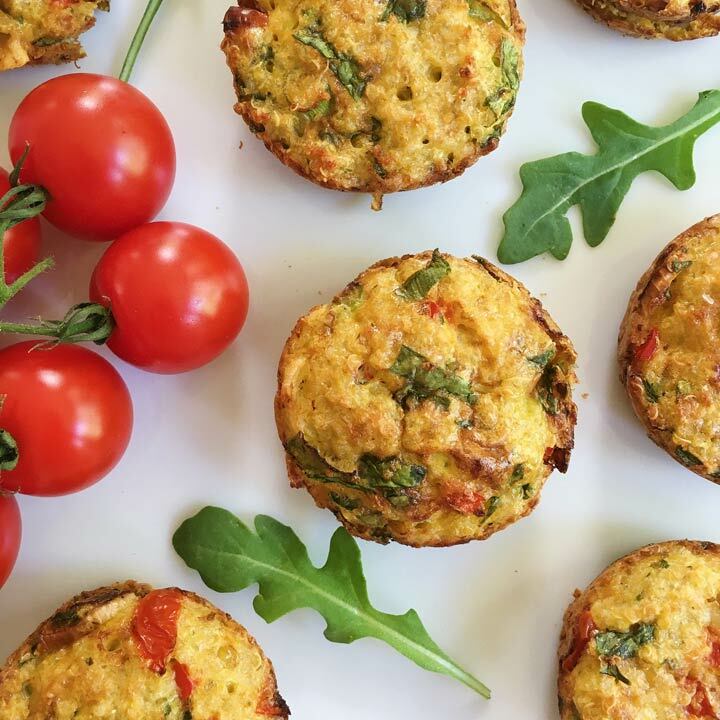 These bites are packed with goodness: quinoa, eggs, cherry tomatoes, red pepper, baby spinach, arugula, onions, and parmigiana cheese. I can’t find the recipe on Super Food Magazine… Could you post it on your website? It looks delicious and I would love to try it! Hi! Thank for letting me know… I will look for the recipe and either update the link or post it here.